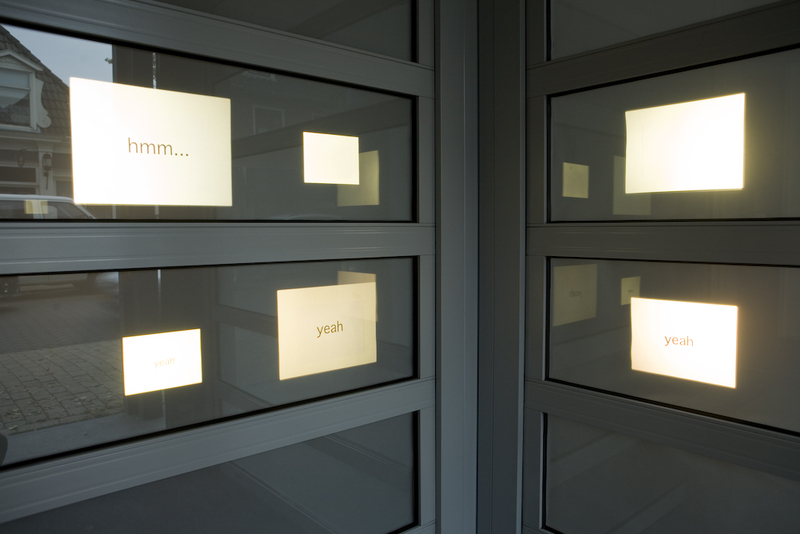 Photo of score and sound installation, in the ATM space of the former Rabo bank builing in Beetsterzwaag. Speak if You Can, Otherwise Sing it, shows 486 slides of words and silences, the sound consist of a choir singing the same words, which is shown as slides, the work runs with a different time interval between the six slide projector and the sound, showing gap between what is heard and what is seen. The work addresses subjects such as singing, music, language and the functioning of the brain, conveying a transformation and understanding of language through the act of singing. Speak if You Can, Otherwise Sing it, derives from a research on how to (re)gain speech through music. The particular text for the choir derives from an interview between the artist and a music therapist specialized in the SMTA method (Speech and Music Therapy for Aphasia). The interview is split into two voices: the singular voice of the speech therapist and the voice of choir. The choir is singing the reply from the interviewer the singular voice appears and is over stemmed by the phonic voice of the choir. This leads to a transformation of the words sang by the choir into a sort of mantra, questioning the norms of languages. Photo of detail of the scoer and sound installation. The work was part of the 6th Sybren Hellinga Kunstprijs, and was develop with support from Kunsthuis SYB. 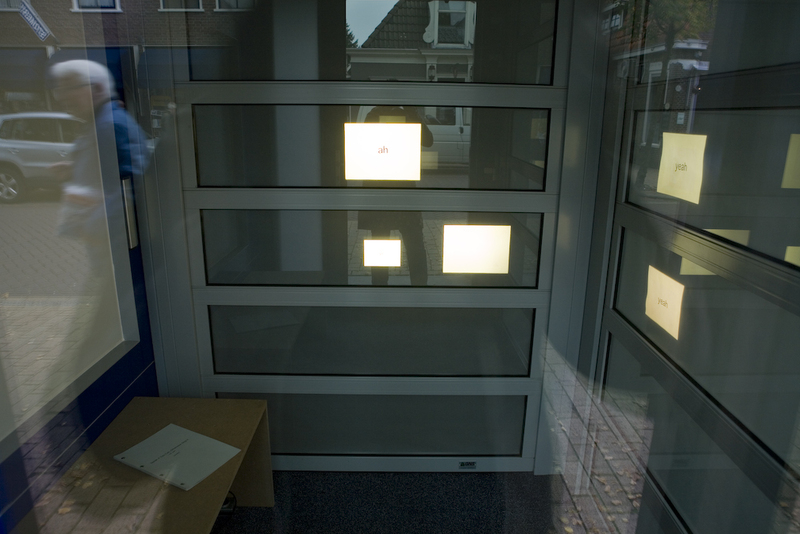 It was installed in the former Rabo bank building in Beetsterzwaag.